Many organizations gravitate toward having their CEO or highest-ranked leader narrate their film. This choice may certainly seem logical as well as the most politically expedient. But first, ask yourself: Is he/she a good storyteller? Is he/she a good communicator? What makes a video effective is being able to engage one’s audience. If your CEO’s strength in this arena isn’t storytelling, it’s best to choose someone else on your staff to speak. If need be, your CEO can have a smaller role in the video. Don’t mistake video as an opportunity to regurgitate your latest marketing brochure. It’s a completely different medium. You can show it all on video, from the people you serve to how you serve them. It offers a completely different opportunity to showcase a dimension of your work through imagery and sound in a way that no other collateral can.It’s not about facts and figures; quite frankly, those make for boring storytelling. Focus instead on capturing the human spirit of your organization. People want to meet the men and women who are the pillars of your success. They want to meet those individuals—patients, clients, beneficiaries—whose lives you’ve touched. Those are the stories that beg to be told. The best way to connect people to your cause is by letting them hear directly from people. People are the heartbeat of your organization. Casting, therefore, is the key foundation to wowing your audience and can determine your video’s success or failure. It’s important to dedicate sufficient time to choosing people with strong voices; you may even want to enlist your production company to vet possible options. People are key—don’t rush the casting process! Pressure from donors and board members inevitably traps nonprofits into making some uncomfortable decisions. Featuring small-scale or less active programs simply to satisfy a donor or senior staff member is bound to limit the reach of your message, and your organization will lose out on its chance to make an impact. Show your best programs—now is their chance to shine! The biggest mistake that many organizations make is creating the video that they want to see or the video that will please the board of directors—and neglecting what will actually make the audience respond. Without that piece, you miss out on a great opportunity for engagement. At the end of the day, video storytelling is about expanding access to your organization. Nonprofits need to focus on making videos accessible to the people they want to attract to their cause. The better you understand your audience, the more precisely you can target the video to capture your audience’s interest. Be it for television, YouTube, or a gala, different screening platforms require different methods of video storytelling—and recognition that regardless of the platform, our attention spans are shorter than ever. We tend to suggest 1-2 minute videos for web content and 4-5 minute videos for galas and events. If your video will be shown at a gala, keep in mind that most people there won’t be familiar with your organization, as most gala attendees come as a favor to the honoree. Videos in those settings need to tell a story very efficiently and with significant emotional power. Be honest with yourself about how long it really takes to tell your story. Too much story is not a good story. Create a narrative and stick to it; the tighter the message, the stronger it resonates. And your audience will thank you for being kind to its attention span. Video costs are primarily driven up by the number of days shooting, so it’s OK to double-dip and repurpose raw footage for other videos and projects. Use interviews, visuals and even finished videos on more than one occasion and maximize your return on what often becomes a significant investment. Showing a video at your annual dinner? Post it on your website, too. Making an informational video? Show it at recruitment events, and link to it online afterward. Nonprofits should always think about how to strategically leverage video content. Creating a video is an intensive process that requires full attention from you, your staff, and your beneficiaries. If you choose to make a video, make sure it’s the right time for the organization. A classic mistake is entering the production process for political reasons. If you do, you may find yourself struggling to find the right story and wasting a lot of time and money. 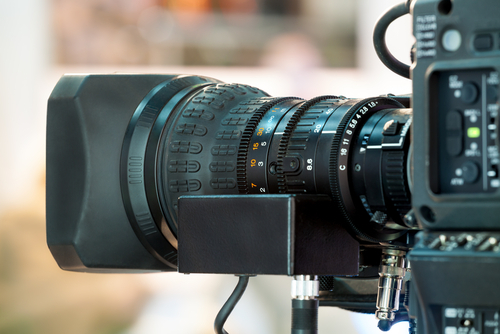 Video is a strategic tool that accomplishes a purpose for your organization. To that end, you’ll need to answer key questions prior to the production process: Who will see this video? What message do I want to communicate? How does it fit into my organization’s overall strategic plan? Your intentions must precede the decision to produce a video, since they dictate the video’s story and structure. Regardless of whether you’re spreading the word, paying tribute, remembering, celebrating, fundraising or marketing, think ahead: You’ll want to invest in a good product you can use for a long time. Think back to that great movie you saw or great novel you read. It all comes down to a good story with a great beginning, middle, and end. Keep that in mind, and your video will end up making your donors weep and, most importantly, writing those checks. Joe Fox is the co-president of Fly on the Wall Productions, a full-service video and documentary production company based in Brooklyn, N.Y. Fly on the Wall Productions makes films for some of the country’s leading nonprofit organizations. The company creates story-driven video content across topics such as education, medicine, disaster relief, scientific innovation, social issues, and more. In another sign that open-source technology is fully in the mainstream, leading Hollywood studios have come together to initiate an open-source software repository for film and media producers.